Soft14: Brickanoid - Brickanoid is a brick out style game with some colorful and cheerful graphics. Brickanoid is a brick out style game with some colorful and cheerful graphics and game play. Destroy all the magical bricks to go to the next level. The game also has a built in level editor to make your own levels for virtually unlimited replay value. 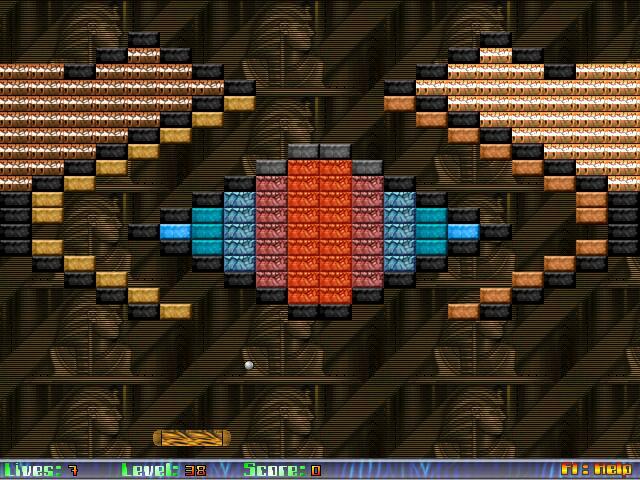 Brickanoid has 100 levels of cool and challenging levels to provide you with loads of fun. You can also create your own levels, resulting in unlimited numer of levels. You will definitely enjoy the great, colorful and cheerful graphics of the game.